Synopsis: The hotly anticipated and explosive third book in the New York Times bestselling Charlotte Holmes series. 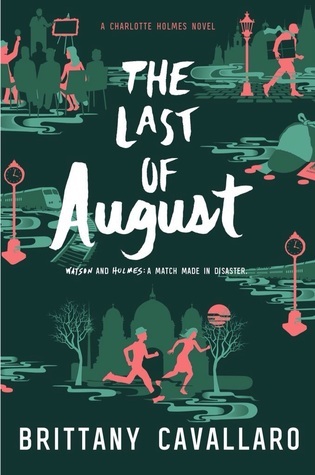 Synopsis: Watson and Holmes: A match made in disaster. Jamie Watson and Charlotte Holmes are looking for a winter-break reprieve after a fall semester that almost got them killed. But Charlotte isn’t the only Holmes with secrets, and the mood at her family’s Sussex estate is palpably tense. 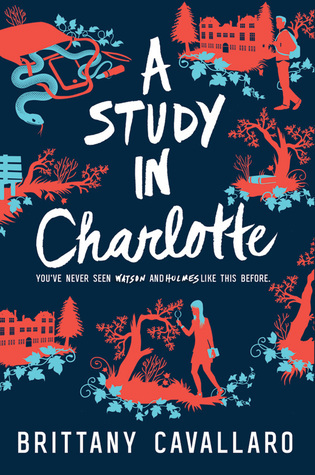 On top of everything else, Holmes and Watson could be becoming morethan friends—but still, the darkness in Charlotte’s past is a wall between them. A distraction arises soon enough, because Charlotte’s beloved uncle Leander goes missing from the estate—after being oddly private about his latest assignment in a German art forgery ring. The game is afoot once again, and Charlotte is single-minded in her pursuit. Their first stop? Berlin. Their first contact? August Moriarty (formerly Charlotte’s obsession, currently believed by most to be dead), whose powerful family has been ripping off famous paintings for the last hundred years. But as they follow the gritty underground scene in Berlin to glittering art houses in Prague, Holmes and Watson begin to realize that this is a much more complicated case than a disappearance. Much more dangerous, too. What they learn might change everything they know about their families, themselves, and each other. Synopsis: The last thing Jamie Watson wants is a rugby scholarship to Sherringford, a Connecticut prep school just an hour away from his estranged father. But that’s not the only complication: Sherringford is also home to Charlotte Holmes, the famous detective’s great-great-great-granddaughter, who has inherited not only Sherlock’s genius but also his volatile temperament. From everything Jamie has heard about Charlotte, it seems safer to admire her from afar. Synopsis: Everyone in the universe knows his name. Everyone in the universe fears him. But no one realizes that notorious outlaw Ia Cocha is a seventeen-year-old girl. 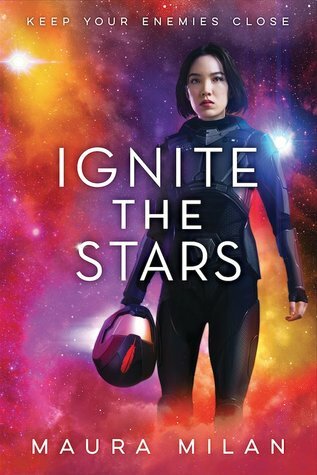 I’m currently reading Ignite the Stars. I saw this title on one of my friend’s To-Read lists on GoodReads, so I immediately requested an ARC of it. I have high hopes! The cover looks awesome and I love the summary. It’ll be released in September. 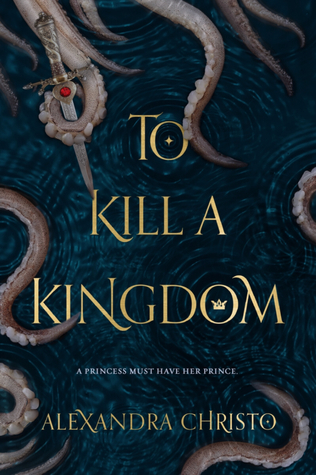 I recently finished To Kill a Kingdom by Alexandra Christo. Such an amazing book! I give it five stars. If you haven’t read it, you really need to. You can read my review here. I’m in Florida at Disney World right now, so I don’t think I’ll be doing a whole lot of reading. However… I’d like to take the time to get through some ARCs I have. 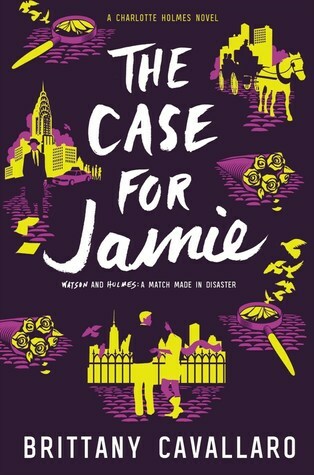 I’d also really like to reread A Study in Charlotte and The Last of August before getting into The Case for Jamie. I love Sherlock stories, and the first two in the Charlotte Holmes series were pretty awesome. I have high hopes for the third book. What are you reading now? Are any of these books on your TBR? Let me know! Welcome to my blog! Ever since I was a kid, I’ve loved to read. I love picking up a book, flipping through the pages, and imaging what I’m reading. I love all kinds of books. Recently I’ve been reading a lot of young adult books. Most of the books I read are fantasy or science fiction, but I do enjoy contemporary or mystery stories. ⭐️⭐️⭐️⭐️⭐️ – Absolutely loved it! ⭐️⭐️⭐️⭐️ – Loved it, but felt that something was missing or something bothered me. ⭐️⭐️⭐️ – Was OK, but pros and cons were even. ⭐️⭐️ – Kept reading, but didn’t enjoy. 💫 represents half of a star.